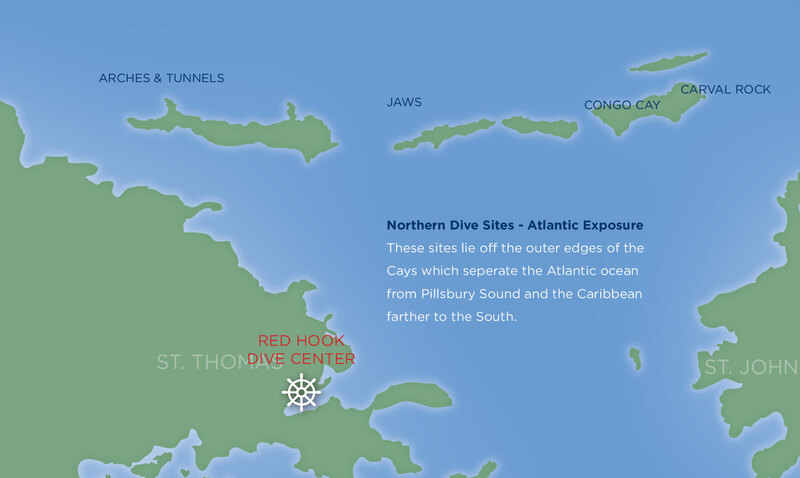 Red Hook Dive Center provides Daily Dive Trips to a number of the best dive sites around St. Thomas. These sites offer all of the best of the scuba experience – thrilling views with beautiful colors, a wide variety of undersea vegetation and animal life, rock formations and varying depths. Specific dive sites are chosen daily based on weather and surface conditions. We gladly accept requests and will do our best to accommodate them.